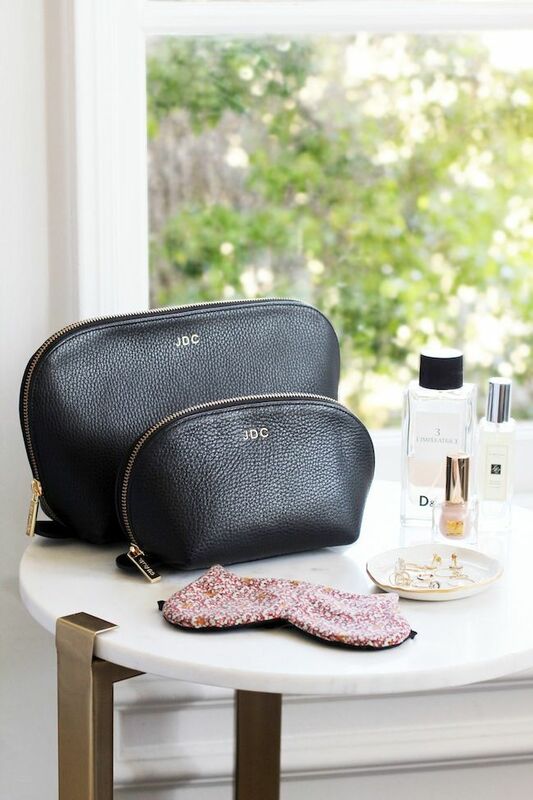 I have always been incredibly loyal to all the makeup bags I have had in the past, only updating when I absolutely had to due to a rip or broken zipper. My most recent was metallic pink with a top zip that I had used for the past six years, and with it being on its last legs, I set out to replace it. I knew I wanted something black and monogrammed, since I had gotten really tired of the pink and wanted something more elevated. After over a month of searching I happened to bring it up at work and someone mentioned Cuyana as an option. I had completely forgotten how cool their designs are and the fact that they monogram. I went back and forth between the Leather Zipper Pouch and the Leather Travel Case Set, but decided to go with the set since I could use the bigger one when traveling and they both sit upright as opposed to slouching like my old one. 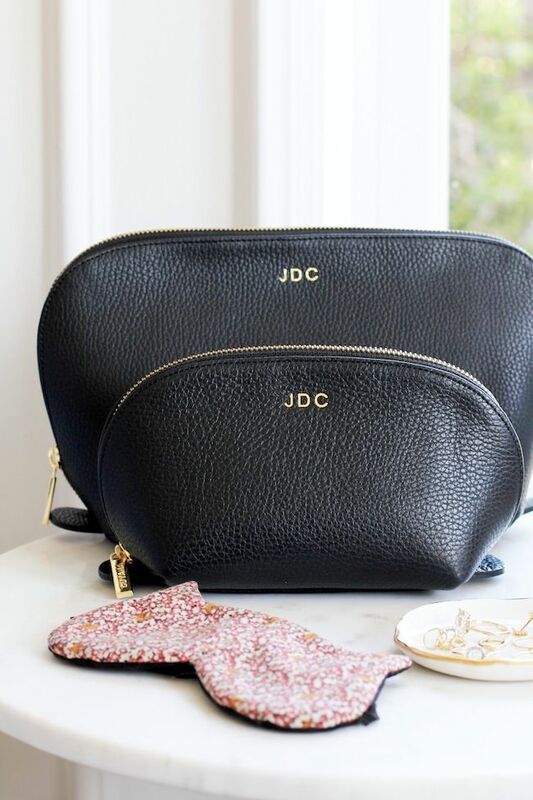 Once they arrived, I couldn't have been happier—both were perfectly personalized and felt super luxe making them a definite must-have in my book.